I'm a huge lover of scent. All scent, candles, perfume, air freshener, you name it. But I'm over all the chemicals. If you've been here a while, you know that I've been on a more natural pathway for quite a few years now, and I'm always trying to cut back on chemicals. Air freshener is one area that is hard to do it, because they're almost all chemical laden. But Grow Fragrance is different. They are all natural made from plants, and they smell AMAZING! They have 3 scents; Bamboo, Lavender Blossom and Citrus Cedar. My favorite is the Bamboo! I love the little bottles they arrived in. First of all, they're adorable. I like their simple design, but they each are color coded. They also have a lock near the sprayer so little kids can't get to them. Made from 100% plant-based ingredients, you can feel confident about using these in your home and around your kids and pets. Toxin free, Phthalate free and Paraben free. I also love that it's highly concentrated. 2-3 sprays will do your entire bathroom and the smell lasts a LONG time. To make it last longer I spray my shower curtain and rug as well. I do the same in all my rooms, I spray rugs, carpet, couch, comforter, etc. It really makes the scent last for hours. All the scents smell CLEAN and don't smell overly done. They all feature a nice, welcoming smell that you'll want to use in your home over and over again! They are manufactured right in the USA and they only partner with organizations that pay fair wages and offer good benefits. An excellent company to support for sure! Price: each bottle is $12, but I assure you, it's 100% worth it! 2 bottles is $20, and they offer FREE shipping on ALL orders! Overall: ***** for sure! Love the scents, love the company. Use code MOMMYSFAV10 for $10 off your first order. This makes a bottle $2 and 2 bottles just $10. Take advantage! 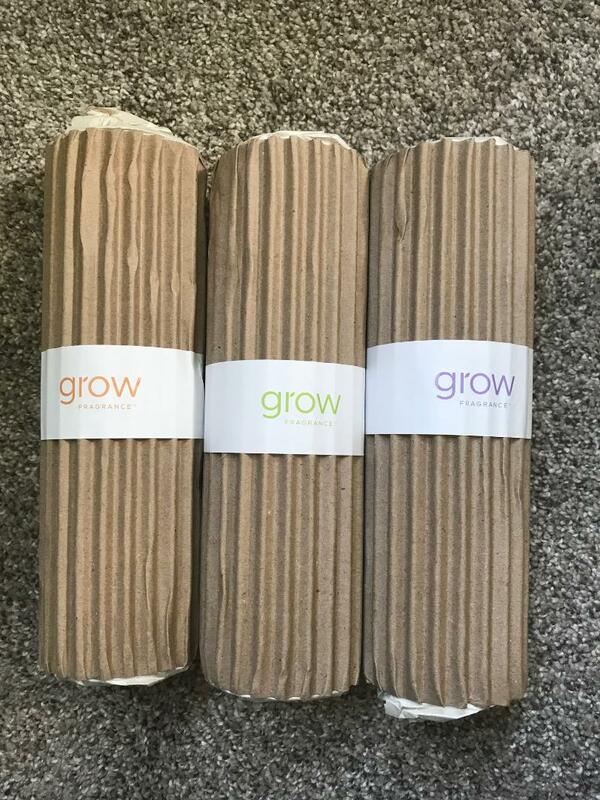 BUT Grow Fragrance is also offering a reader the chance to win 3 bottles of their own! I learned that Grow Fragrance contains none of the harmful chemicals found in traditional petroleum-based products. I learned that they donate 1% of all sales to 1% for the Planet. I learned that this product is made from 100% plants. Wow, it's cool that you can use it on fabric to freshen it up! I learned that their 100% plant-based claim means that every ingredient in our product is based on a plant source and this is verified through bio-based carbon testing. 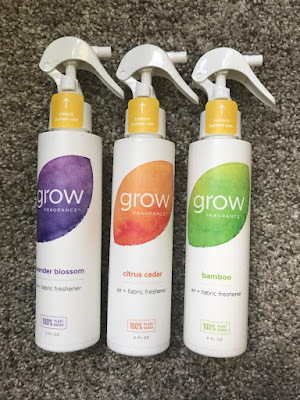 I learned that Grow Fragrance is toxin free and 100% plant based. they offer free shipping on every purchase, with no minimum. I learned that Grow Fragrance contains zero of the harmful chemicals found in traditional petroleum-based products. I learned that it's 100% plant based! I learned that Grow Fragrances are 100% plant based instead of petroleum based. I learned you can sign up to never miss a new seasonal fragrance launch! I loves that they are paraben free! Thanks so much for the chances to win. Grow Fragrance contains none of the harmful chemicals found in traditional petroleum-based products. I learned their ingredients are certified 100% plant based. I learned that they are 100% Plant-based. I learned that the ingredients are 100% plant based. I learned that they have free shipping on any order. I learned that Grow Fragrance is free from Phthalates.